Porsche Design 914 Full-Bent P3614 Titan Body | Old Morris Tobacconist Victoria BC, Fine Cigars, Humidores and Tobacco Merchantile. This Porsche Design pipe is made in Holland and features a high-quality briar construction with an acrylic mouthpiece. 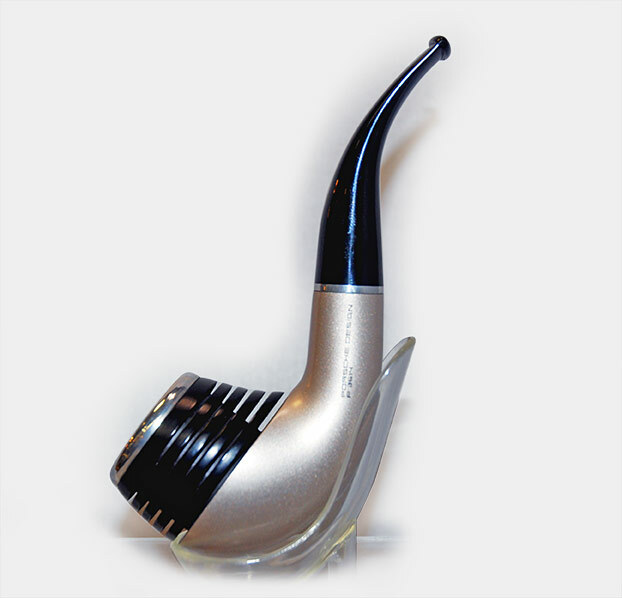 Its unique design and modern styling makes this pipe something of a collector's piece, but does not diminish from its excellent smoking qualities.